Obituary for Constance Mary Buder | Heubner Funeral Home Barry's Bay Ltd.
Constance Mary Buder, daughter of the late Ruby and Thomas Bird of Canfield ON passed peacefully into heaven February 11, 2019 to be with her husband Wesley Buder and daughter Barbara Luckasavitch. Predeceased by sister Eva (Marvin) and brother Arthur (Mary Lou) she will be dearly missed by her sister Christine (Bill). She was the dear mother of daughters Nancy (Dave) and Marilyn (Gary). Loving grandmother of David (Mary), Stephen (Deanna), Adele, Diane, Andrew, Sonia, Julie and Melanie (Matt). Proud great-grandma of 13 great-grandchildren. Fondly remembered by nieces, nephews, cousins and friends. 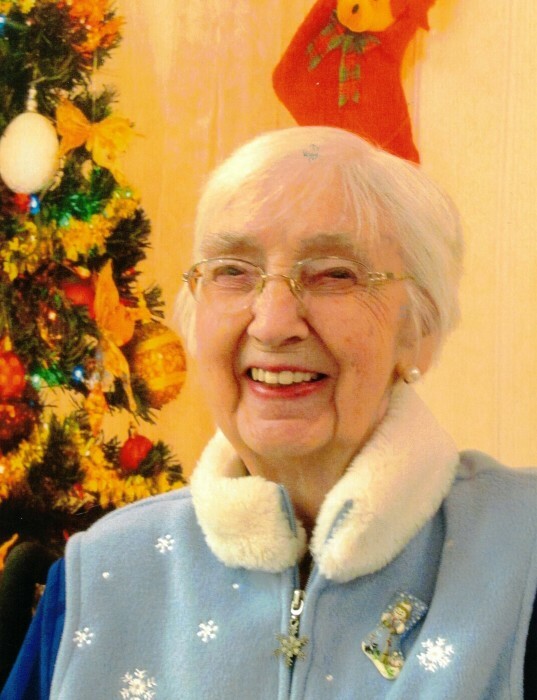 Mary will be remembered for her love of the outdoors, gardening, baking and quilting. Many thanks to the wonderful staff at the Valley Manor in Barry’s Bay for the kind loving care. In lieu of flowers, donations to St. Francis Memorial Hospital Foundation would be appreciated. Visitation will be held at Heubner Funeral Home in Barry’s Bay on Friday, February 15 from 2-4 pm and 7-9 pm. Funeral service will be held at St. Paul-St. James Church Madawaska on Saturday, February 16 at 11am. Interment to take place in the spring.